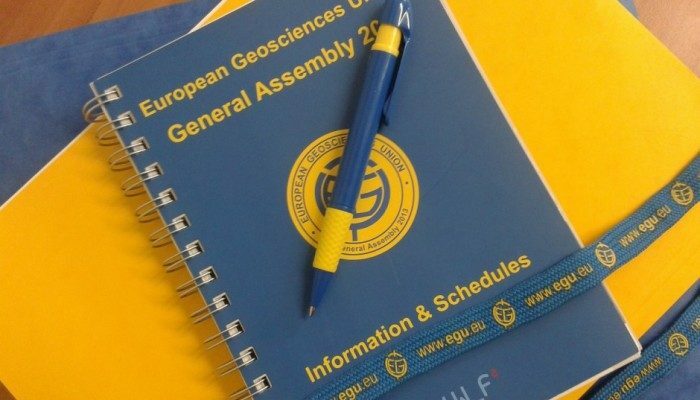 EGU GA 2016 is only three days away! Here you can find our session picks! The BG division meeting is Thursday from 12:15-13:15 in Room 1.61. Another is Experiments in Geosciences Monday 10:30-12:00 in Room 2.97. If your work involves samples acquired by drilling the “ICDP-IODP Town Hall meeting” on Tuesday 19:00-start in room G2 could be highly informative. There are a number of workshops discussing different funding opportunities including the “European research council funding opportunities” on Tuesday with a 19:00 start in room 2.85. If any of your work involved CO2 storage the session on Thursday starting at 13:30 in Room 2.31 entitled “Field methods and analysis of field data for CO2 geological storage” could be interesting. Ever wondered how blood vessel-like structures of fossilized turtles, crocodiles, mammals, birds and lizards looked like (credit: Edward Cadena, Senckenberg museum) ? The Messel Pit is a worldwide famous fossil site recognized by UNESCO as a World Natural Heritage Site because of the exceptional preservation, as well as the diversity of its fossils from the early-middle Eocene (~48 Ma). The Messel Pit, located in an old Quarry in Germany near Frankfurt am Main , includes fossils from vertebrates (turtles, crocodiles, mammals, birds, lizards, among others), invertebrates (insects), and plants. The vertebrates are preserved in articulation, often with associated ‘‘soft ’’ tissues such as hair, scales or feathers, and even occasionally in situ stomach contents. Despite of the exceptional macroscopic (complete skeletons) preservation of Messel Pit vertebrates, the internal preservation of bones has been almost completely unexplored, leaving unresolved questions as for example if such exceptional preservation also occurs at microscopic and molecular level, allowing the recovery of bone proteins and even DNA. A new research topic was started at the Senckenberg Museum in Frankfurt, focused on examining the preservation of blood vessels and bone cells-like (called osteocytes) from some of the Messel pit vertebrates. 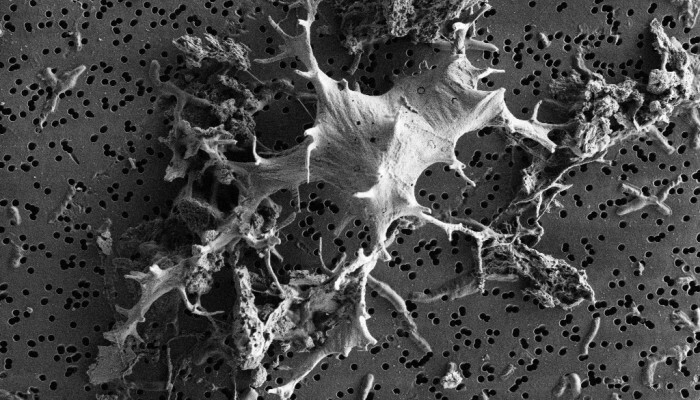 Osteocytes are remarkably important for understanding evolution since they are the most abundant cells forming bones in all vertebrates on Earth. 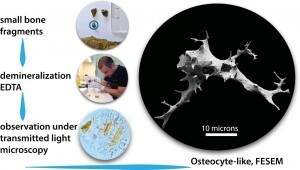 After analysing very small pieces of fossil bones (less than 1 cm2), beautiful osteocytes-like and blood-vessels-like from two species of turtles, one mammal species, and one crocodile were discovered. It thus indicated that the exquisite preservation of Messel Pit vertebrates occurs at both macro (skeletons) and micro (cells-like) scales. However, work on these bone osteocytes and blood vessels-like microstructures is not quite complete. It is also interesting to establish if there are any remains of their original molecular composition (proteins or even DNA) after 48 millions years of being trapped inside the rocks. Preliminary results show that osteocytes-like and blood vessels-like exhibit important amount of iron (Fe) in their composition, contrasting with bone remains and collagen fibrils-like that lack iron. Although no proteins or DNA remains have been found yet in the Messel Pit fossil vertebrates, the occurrence of iron is a good signal because iron has also been found in similar microstructures of dinosaurs bones from USA, in which proteins are truly preserved. Analysis of the elemental composition of one of the osteocytes-like cells from a fossil turtle from Messel Pit, using a Phenom Pro X Scanning Electron Microscope. Red dots on the osteocytes indicate different spots that were analysed for compositional elements, as shown for example for spot 2, indicating a high content of iron (Fe), Carbon (C), and Oxygen (O2) (Credit: Edwin Cadena, Senckenberg museum). At this point, it is clear that further research is needed for establishing the original biomolecular composition (amino acids and proteins) of fossil cells or soft tissue. If bone proteins – or even DNA- are preserved in Messel Pit fossils that could shed light on understanding evolutionary relationships, as well as the mode and rate of evolution at molecular levels, which is crucial for explaining different lineages of extant vertebrate animals, including us. For further details, see Cadena (2016). Dr. Edwin Cadena wrote this blogpost. 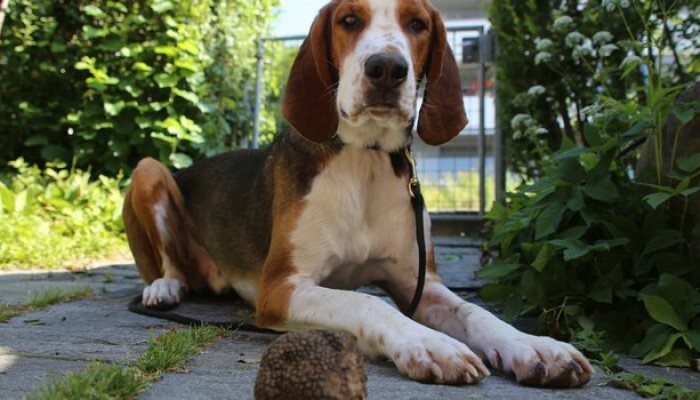 He got a grant from the Alexander Von Humboldt foundation to perform his research on osteocytes from fossilized (in)vertebrates at the Messel Pit. 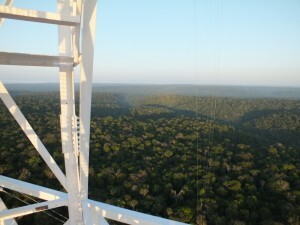 The 325m high Amazonian Tall Tower Observatory (ATTO) will give researchers an insight in greenhouse gases, reactive trace gases, aerosols and atmospheric transport processes at a height above the surface layer of the largest forest system of the world (credit: Susanne Benner/ Max Planck Institute for Chemistry). The Amazon Rainforest in South America represents the Earth´s largest rainforest, housing at least 10% of the world´s known biodiversity and consisting of more than 350 billion individual trees. Besides its large diversity in floral and faunal species, the Amazonian biome has an important impact on the global atmosphere. It produces half of the global atmospheric oxygen via photosynthesis and evaporates vast amounts of water into the atmosphere influencing the climate worldwide. Nevertheless, this unique biome is under constant human threat as deforestation has continued in the last decades and only begun to dwindle since 2004. There is a need to better understand the key roles the Amazon biome plays on a local, regional, and global scale. 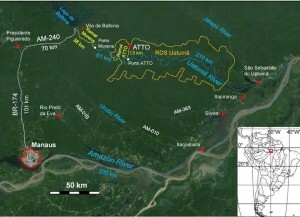 To do this a German-Brazilian joint project was initiated in 2008 and coordinated by the Max Planck Institute for Chemistry, the Max Planck Institute for Biogeochemistry, the Brazilian National Institute of Amazonian Research, Instituto Nacional de Pesquisas da Amazônia (INPA), and the University of the State of Amazonas and the Universidade do Estado do Amazonas(UEA). The core of the project was to build the Amazonian Tall Tower Observatory (ATTO) right in the heart of the Amazonian rainforest. 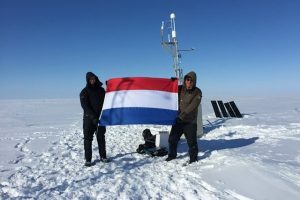 Thereby allowing researchers to measure greenhouse (e.g. CO2 , CH4, and N2O) and trace gases along with volatile organic compounds and ozone (for understanding aerosol formation) far away from anthropogenic influences. Moreover, they will use the tower-based measurements to assess turbulence and transport processes up to the lower atmospheric boundary layer and to validate and develop different type of models on vegetation, atmospheric boundary layer processes and ecosystem-atmosphere gas exchange. During a short interview for this blog post Jürgen Kesselmeier, from the Max-Planck-Institute for Chemistry in Mainz and the German coordinator of the project, said “Data from the ATTO project will reflect biosphere/atmosphere exchange and effects on cloud development over a forested area related to a transport distance of several hundred kilometers.” While tall towers, such as the the 302 m high Zotino Tall tower observatory (ZOTTO) in the Siberian Taiga, have been used in the past for greenhouse gas and aerosol monitoring before, this project aimed to erect one of the highest towers in one of the most ecologically important terrestrial biomes of the world. Morning view from the ATTO tower over the Amazonian rainforest (credit: Susanne Benner/Max Planck Institute for Chemistry). Reaching 325 meters into the sky above the Amazonian rainforest, the ATTO is the tallest tower in South America even taller than the Eiffel Tower. Photo on the left shows the tower base (credit: Susanne Benner, Max Planck Institute for Chemistry). Photo on the right shows the tower top (credit: Jürgen Kesselmeier/ Max Planck Institute for Chemistry). 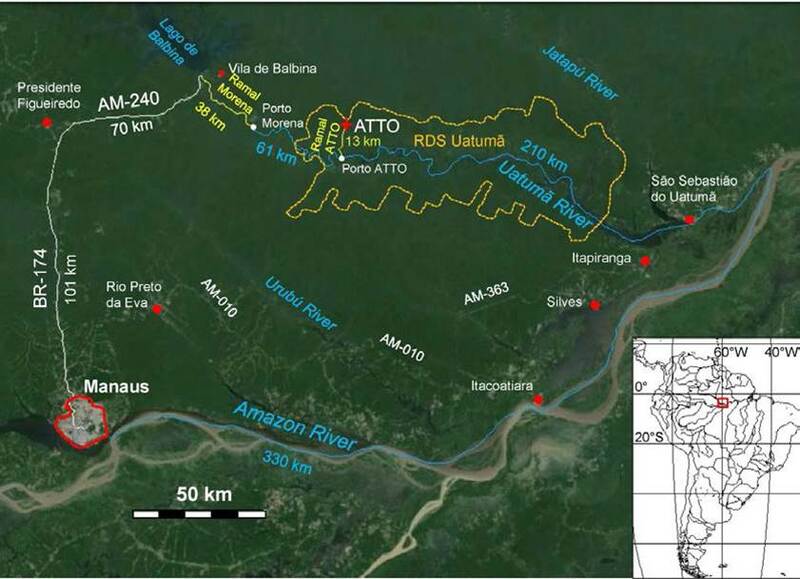 A site was selected 150 km northeast of Manaus, Brazil (see map), at Sebastiao do Uatuma in Amazonas state, to allow for measurements with minimal human perturbation in a location with easy accessibility to facilitate research and educational activities. Construction of the 142 ton, 325m tall (331m with lightning rod) tower in the heart of the Amazonian rainforest, took 30 workers around 4 months to complete and was a logistical and constructional feat. A new road had to be build, allowing transport of the 15 000 tower components to the construction site. At the site, all the different tower elements had to be lifted and assembled using 24 000 screws and bolts and 26 km of steel cable was needed to safely anchor the tower to the rainforest ground. Meteorological and micrometeorological data at the site have been collected since 2012 using two 80m high towers. The 325m high tower was officially inaugurated last August and in the coming months the tower will be equipped with a wide array of instruments before the actual measurements will start by the end of 2016. 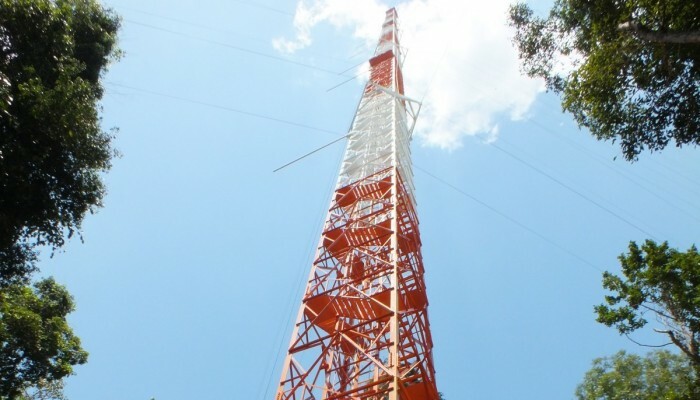 Finally, an important question is whether data from the ATTO tower can help to convince policymakers to stop deforestation of the Amazonian rainforest. 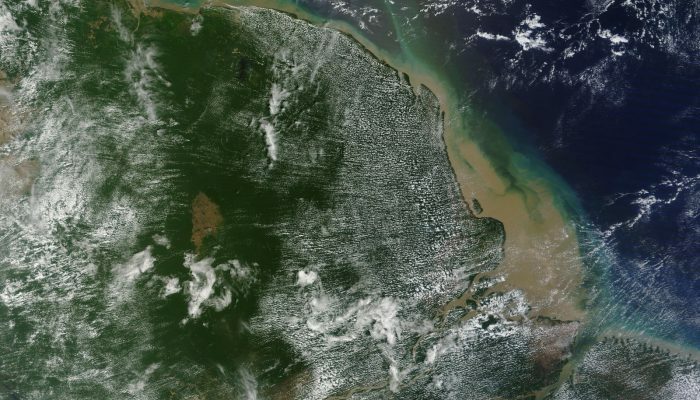 “As the outcome of the ATTO project will highlight the role of the Amazonian rainforest in the relationship between global change, carbon cycle, trace gasses and aerosols and clouds, it will make the needs of this biome visible and strongly support its protection, ” says Jürgen Kesselmeier. In short, the outcome of this project will help us to understand the Amazonian forest system before we all destroy it completely. The ATTO project already attracted the interests of the media and in the future, all scientists involved in the project will start disseminating their results. Therefore, it can be expected that in the coming years, we´ll hear much more about this scientific sky-scraper and its role in saving the planet´s green lungs. Construction of the 325m tall ATTO tower was not for the faint-hearted. In the picture on the left, taken at 130m height, you can see Jürgen Kesselmeier from the Max-Planck Insitute of Chemistry, Mainz and German coordinator of the ATTO project together with two construction workers. On the right you can see construction workers assembling the tower at 150m height (credit: Jürgen Kesselmeier, Max Planck Institute for Chemistry). The Panamanian Isthmus is not entirely guilty after all! Fieldwork in northwestern Colombia, in order to recognize the nature, structure and mineral composition of fluvial deposits accumulated during the middle Miocene. 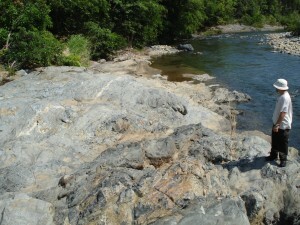 Within these sediments, detrital zircons of Panamanian affinity were commonly found and used to determine an earlier land connection between Central and South America (credit: Lina Pérez-Angel). Traditionally, closure of the Panama Isthmus has been deemed responsible for the co-occurrence of two major events: The large Pleistocene glaciations and the Great American Biotic Interchange (GABI). Existing evidence indicating a casual relation is controversial, mainly because the difficulty on establishing a precise chronology of closure. Results of a recent publication in Science by Montes and colleagues  suggest that closure of the Isthmus was not related to these events. What’s more, these results seem to suggest that the beginning of the major glaciations could actually be the cause of the GABI. 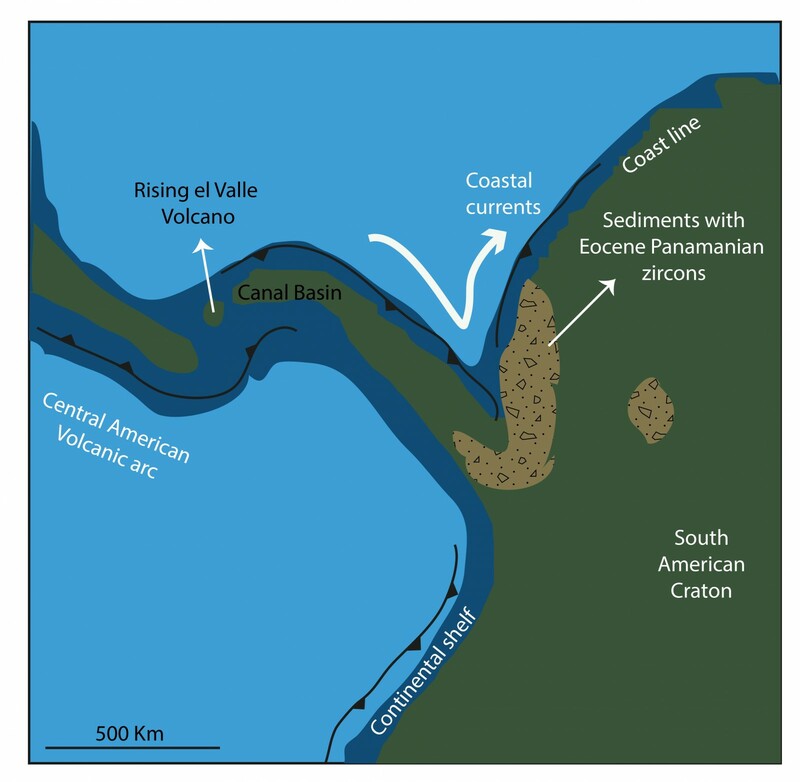 According to this research, closure of the Central American seaway could have happened more than 10 million years (Ma) earlier than originally thought. 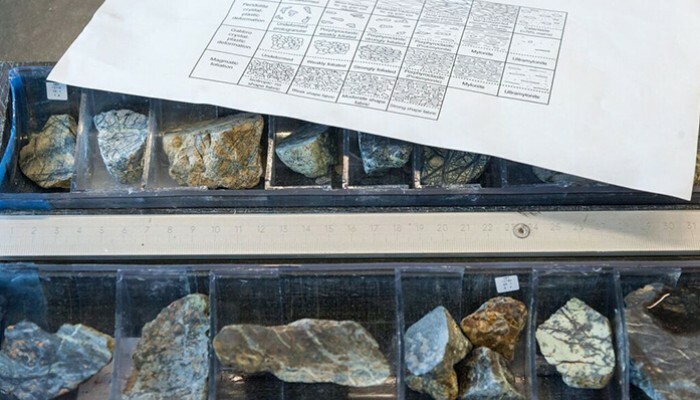 New evidence relies on cartography, provenance analyses and detrital zircon geochronology. 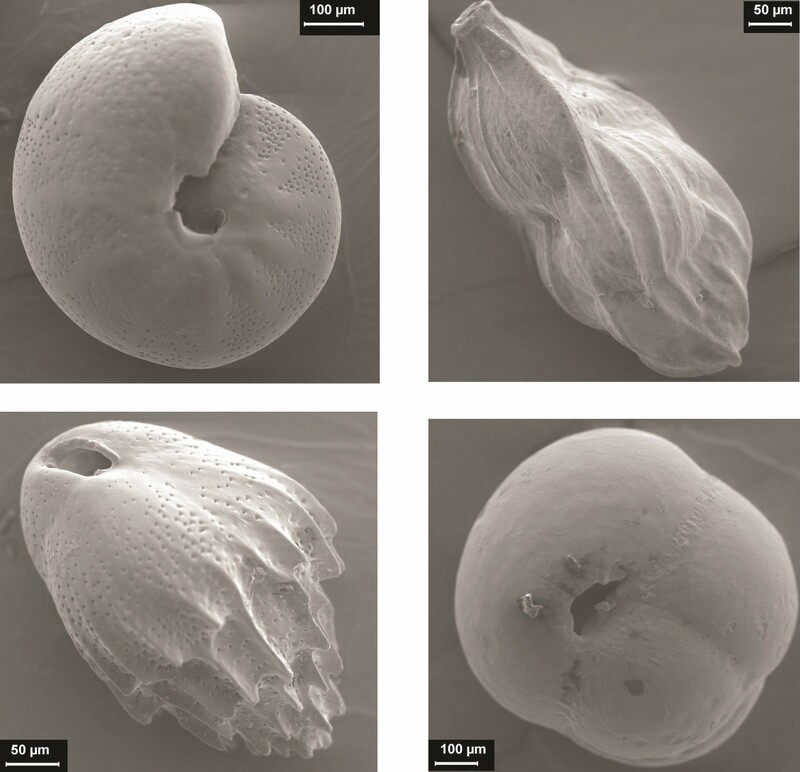 Detrital zircons ages were used to constrain the age of deposition of the host sediment, reconstruct provenance, and, more importantly, characterize source regions. In the northwestern margin of South America, there are several mountain ranges that contain ancient zircons formed under different tectonic settings. However, zircons between 30 and 40 Ma can only be found along the Panamá region. This signature serves as a distinctive Panamanian fingerprint. These Panamanian zircons were found in fluvial and coastal sediments accumulated 15 Ma along the northwestern Colombian region. It is therefore inferred that there were rivers bringing Panamanian rock fragments and crystals from Panama to shallow marine basins of northern South America at that time. A river connecting these two land-masses negates the presence of the Central American seaway. As a result, the flow of deep and intermediate Pacific waters into the Caribbean Sea would be severed. Caribbean-Pacific water exchange could still occur through narrow, shallow, and transient channels that could fragment the emerged land. In light of this evidence, it seems that the biotic interchange and the Pleistocene glaciations may need new explanations. One interesting alternative could be that the biotic exchange occurred as a consequence of the onset of the glaciations. Such cold periods typically bring drier conditions and promote the development of savannah-type vegetation corridors in Central and South America. These corridors, along with falling sea-levels results of more ice trapped in continental glaciers, could have finally allowed the massive crossing of mammals. If this is the case, several questions open up. For instance, what triggered the glaciations? Or, when was the onset of the modern thermohaline circulation? 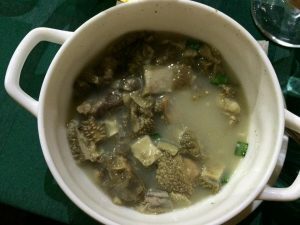 Diana Ochoa wrote this blog post. Prof. Dr. Camilo Montes, who was the PI of the research leading to these results, edited and verified its scientific content. 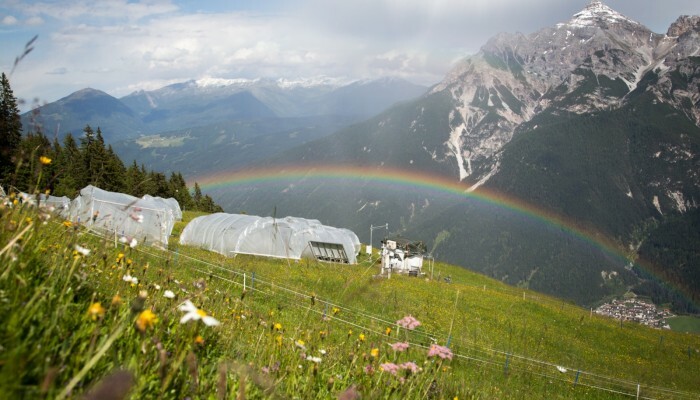 In order to understand the effect of climate extreme events like droughts on the carbon balance of mountain alpine pastures, rain-out shelters are used to simulate drought events while carbon pools and fluxes are being measured (credit: Johannes Ingrisch). Welcome to the official blog of the Biogeosciences (BG) Division of the European Geoscience Union! 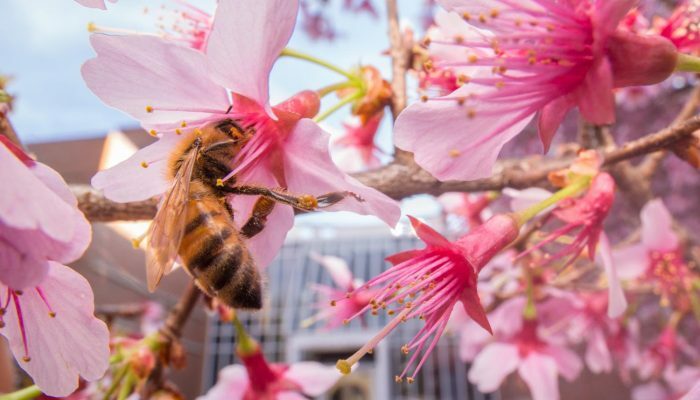 This blog is run by biogeoscience enthusiasts with very different backgrounds, ranging from plantecophysiology over geology to geomicrobiology. Therefore we think that the variety of posts, will make this blog interesting for all interested in biogeosciences. 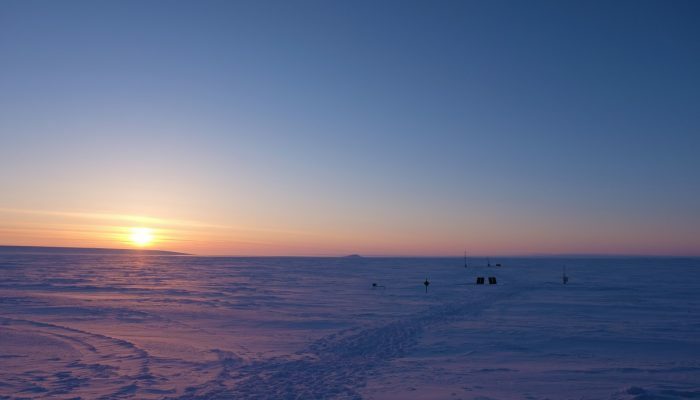 We bio‐geoscientists perform research on the processes in and interactions among the Earth’s atmosphere, biosphere, hydrosphere, and geosphere. At first sight, our research might seem very broad and indefinite, but due to the multi‐faceted and interdisciplinary nature of biogeoscientific research, we can provide the scientific basis for understanding the role of ecosystem processes in some of today’smost pressing environmental issues: including, (but not limited to) climate change, deforestation,eutrophication of lakes and rivers, and the effect of sea level rise on coastal and estuarine ecosystems. 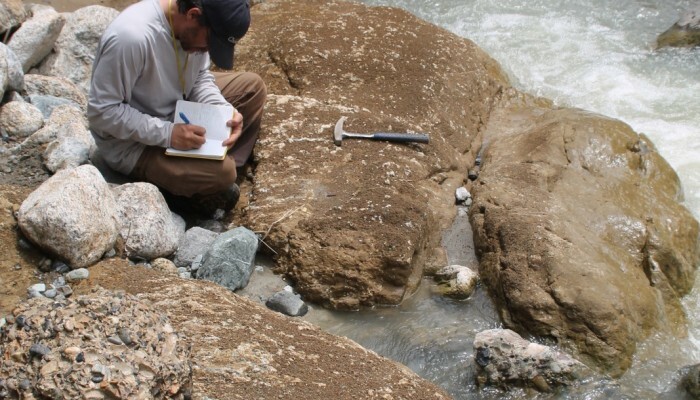 In addition to all of that, biogeoscientific research informs our understanding of the biogenic signatures found within rocks from early Earth, and areas of our planet which are highly inhospitable. Our first blog entry will be on the timing of the closure of the Panama Isthmus which had an important impact on the Great American Biotic Interchange‐ also known as GABIA. 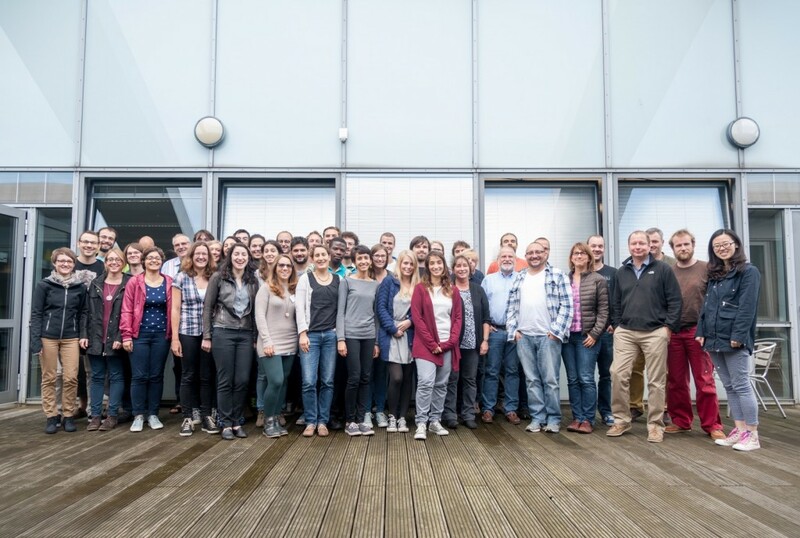 Our second blog posts will be on the European Consortium for Ocean Research and Drilling (ECORD) Summer school “Ocean Crust Processes: magma, faults , fluxes, and life” which was recently held in Bremen Germany. Our third post will be on the Amazonian Tall Tower Observatory (Atto) in the Brazilian rain forest which was inaugurated last month and will be used to measure greenhouse gases, aerosol particles, cloud properties, boundary‐layer processes, far away from human influences. In a later stage we foresee blog contributions from scientists with a wide range of biogeoscientific backgrounds. If you would like to write a blog entry about your research, please get in touch with the editor, especially if you are an early career scientist! We welcome all contributions that fit broadly within the topic of Biogeosciences.